No offense to the wonders of computer-generated special effects, but there’s something ineffable about the delicate handcraft of practical effects and models done well that lifts the spirits in a totally different way. And as non-CGI movie-making goes, Ridley Scott’s 1982 future-noir classic Blade Runner is surely one of the finest examples of the form, its blend of models, mattes, and miniatures creating a totally immersive science fiction landscape that set the standard for bleak, über-industrial science fiction dystopias on film. 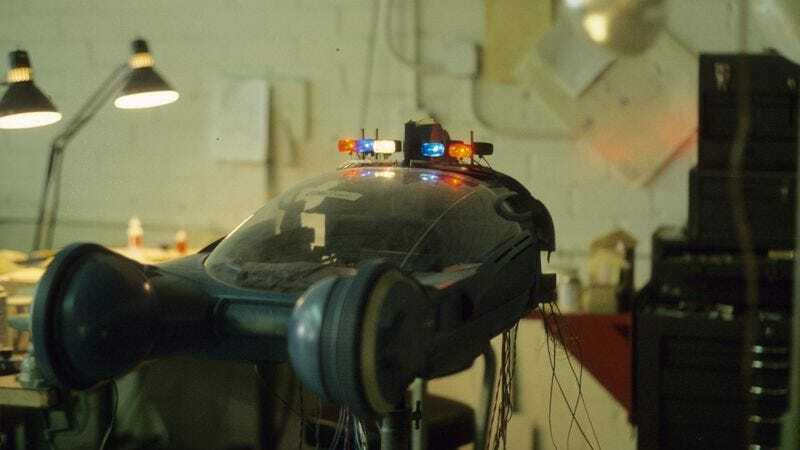 Now, thanks to one intrepid Internet user’s giant Imgur photo dump, you can check out 142 behind-the-scenes images of how Blade Runner’s sci-fi sausage was made, from its flying cars to the Tyrell Corporation’s business ziggurat of doom, and perhaps get inspired to build a new life for yourself in the off-world colonies.